Millennium Magazine is a Lifestyle & Entertainment Publication with interests in New York, Los Angeles, Las Vegas and Miami. 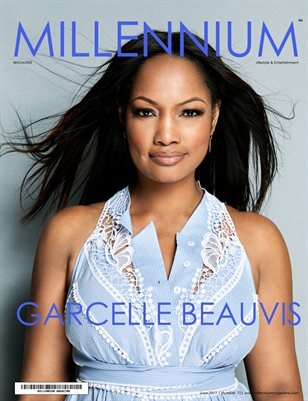 Millennium strives to provide content that enhances and compliments the magazine for the pleasure of its readers, featuring celebrity covers with a business focus. We target distinct, affluent audiences in trendy markets. Millennium appears online and in print. Online we publish an interactive digital flip book with embedded links to web sites of featured content, advertisements and promotions. Print versions are published as a slick, high-gloss, full-color bonded magazine. We target market influential, key decision makers such as, executives and celebrities with our print editions, and distribute them to upscale retailers, restaurants, spas, boutiques, grocers, hair and nail salons, private medical practices, and more. Find us online at www.millenniummagazine.com, as well as Facebook, Twitter, LinkedIn, Instagram, Pinterest, YouTube and others at “Millennium Magazine”.